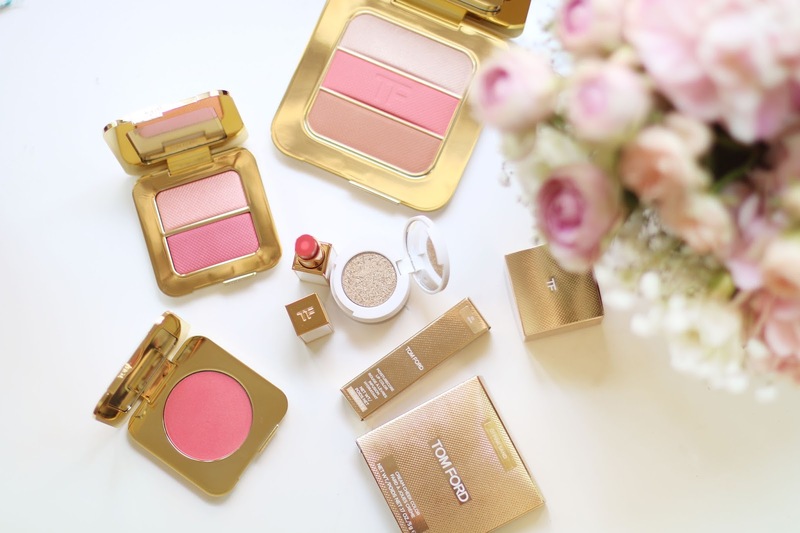 I wasn't a "buy everything from the new collection" type fan of Tom Ford, until I saw the new Tom Ford Soleil collection. The white and gold packaging caught my eye but it was what's inside the packaging that stole my heart. The Cream and Powder Eye Color would probably have been last on my list as I own way too many eyeshadows for my own good plus I've seen similar products from several Korean brands a few years ago featuring powder and cream eyeshadow in one packaging to easily spruce up your eye makeup look. I personally prefer powders to cream eyeshadows simply because cream eyeshadows can tug onto my eyelids and look creased soon after applying. However this had the power to change my mind completely. The gold shimmery powder isn't the "tacky" type of glittery gold, instead it has a subtle iridescent finish and looks great on its own or as a base. The cream formula is purely magical. 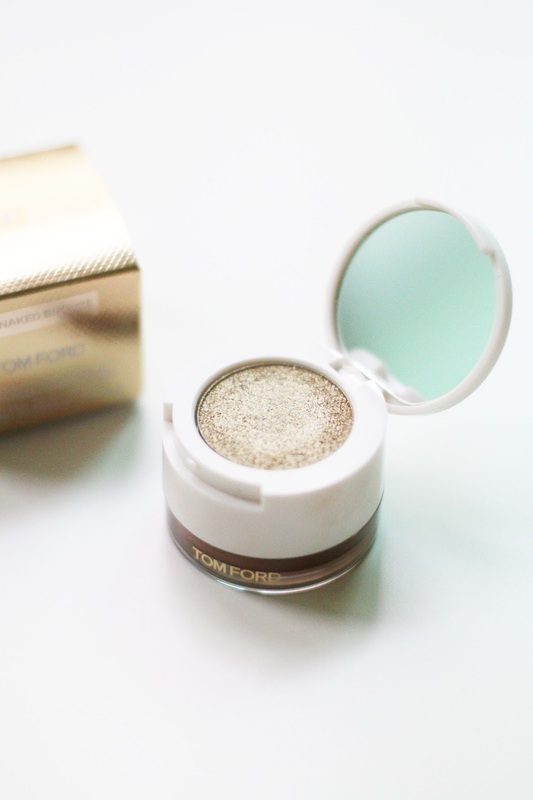 It's light and easy-to-blend consistency transformed my eyes, giving it more dimension and a soft airy feel instead of that heavy, caking cream eyeshadow that I have been familiar with. 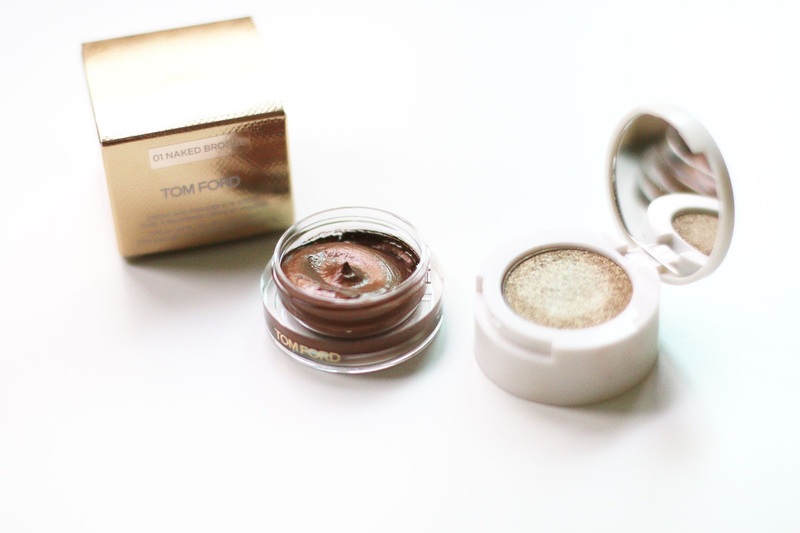 Together the two make the perfectly simple duo eye makeup. 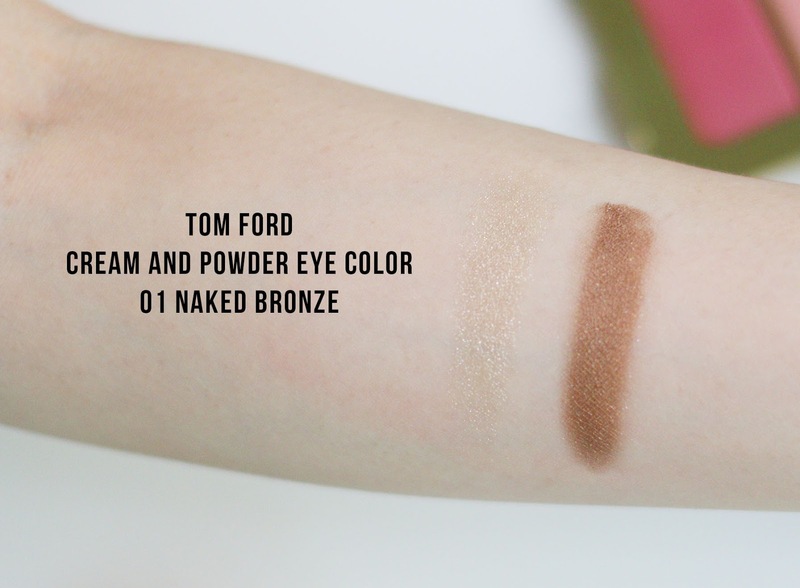 I have the shade 01 Naked Bronze which is great for all seasons though has that summery glow and thus, my love for Tom Ford makeup ignites. 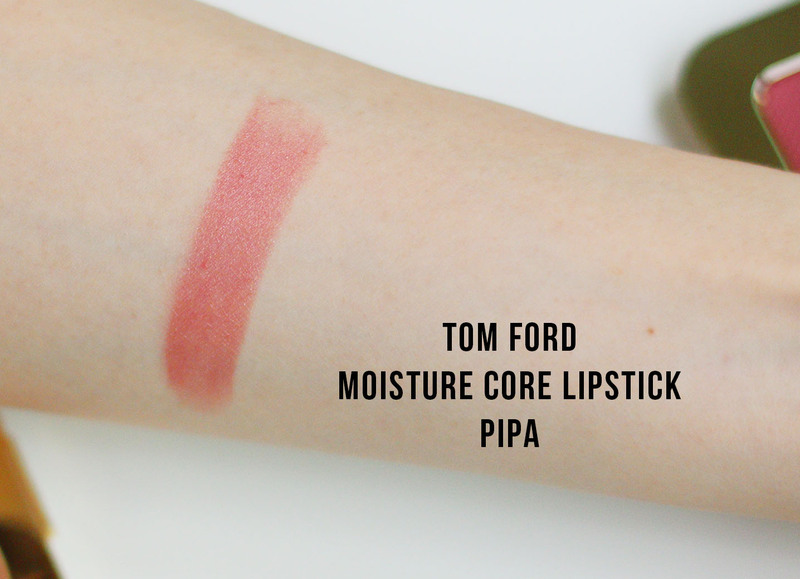 Next up was the Moisture Core lipstick, which I was a bit weary about at first. 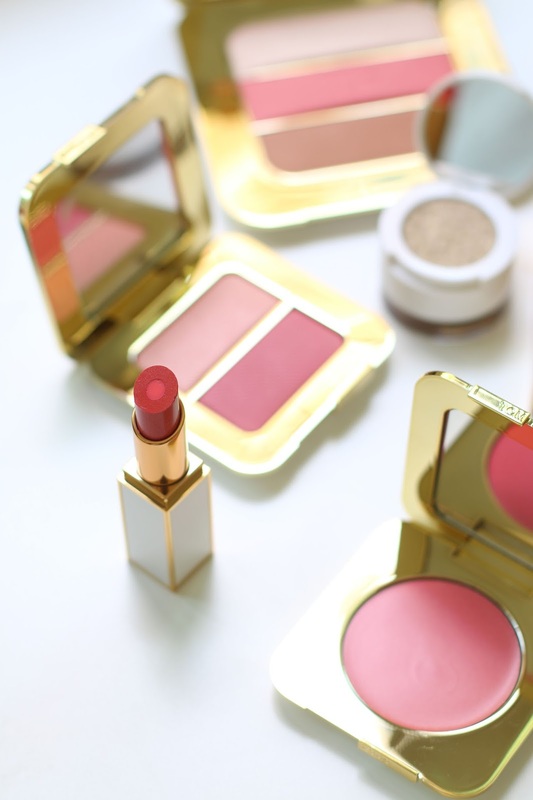 Again, I've seen several brands introduce lipsticks with a moisturizing centre, filling it with Argan Oil and such but none of them were particularly thrilling or life-changing to me. 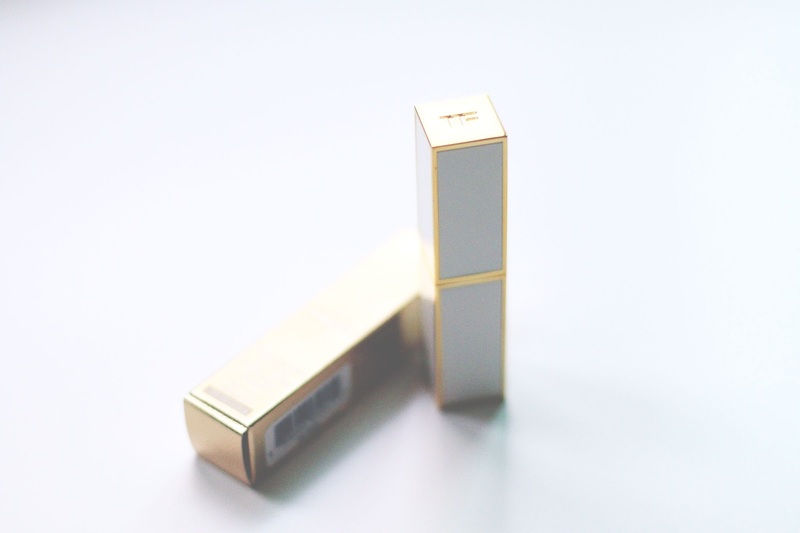 The formula of this lipstick is creamy with I would say low to medium pigmentation, yet it is the epitome of the 'my lips but better' (at least on my lips), and it has buttery texture. I would say the lasting power of this is not amazing, but I'm very satisfied with the hydrating level of it and it is already becoming my everyday pick for a natural semi-glossy finish. Moving on to one of the most coveted products from the new collection would be the Soleil Contouring Compact called The Afternooner. 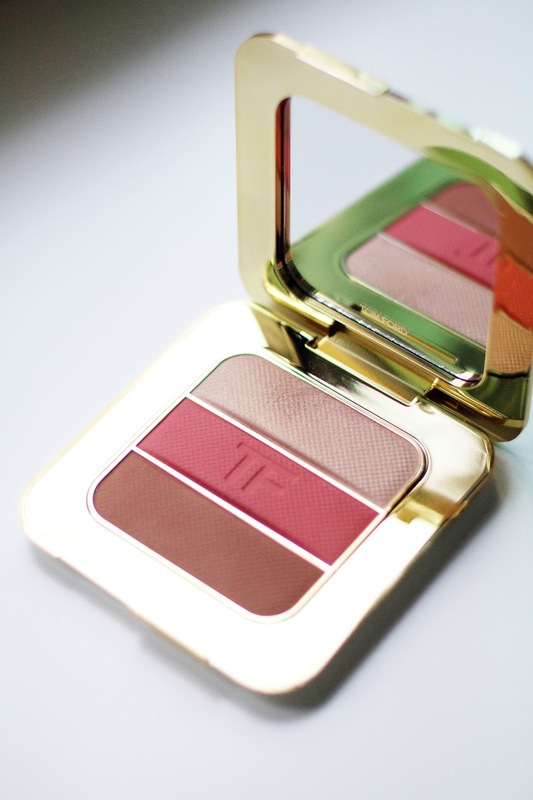 What a beautiful palette, and I could not take my eyes off it when I saw it at the press launch. I had to purchase it on Selfridges as it quickly sold out in Hong Kong. I'm not going to lie, initially I wanted this mainly for the packaging, but when I tried it on I was so glad I bit the bullet and bought it. The bronzer is not my usual natural contouring shade since it is too warm-toned for me but I can get away with using it during the Summer for that healthy glow. 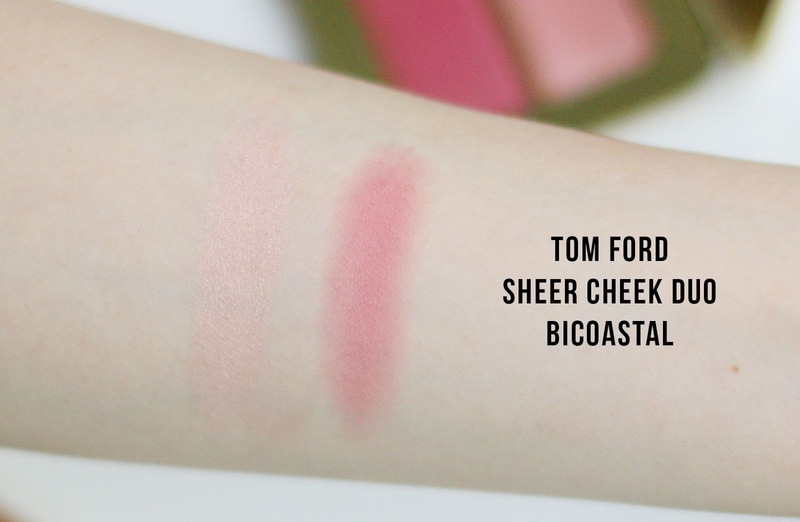 The blush is a stunning coral blush and although quite sheer and soft, it can be buildable. The highlight is also becoming one of my favorites - again it's not one of those tacky shimmery highlights but looks almost as if the glow was radiating from underneath my skin. 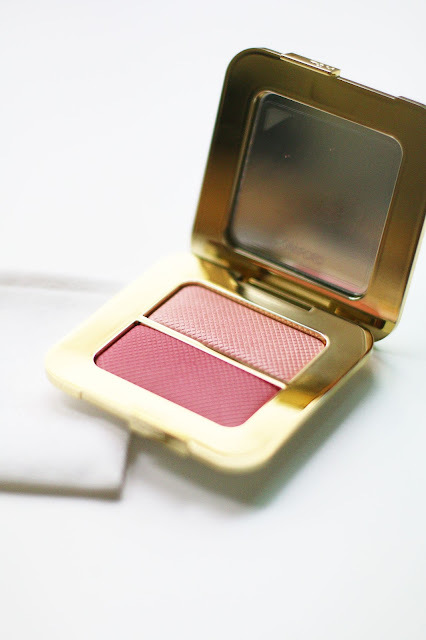 The powders are so fine and soft that blending was made easy and my complexion looked sunkissed, but not overly done. So in love with this palette and would highly recommend it despite the hefty price tag. 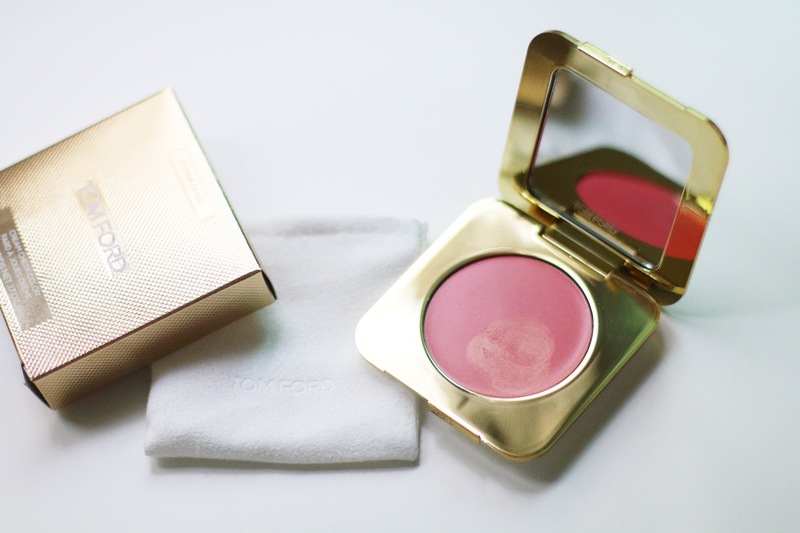 The cream blush is another beautiful creation by Tom Ford. Again, I don't like cream blushes as although a lot of them are marketed as creamy, many of them tug onto my skin, don't blend as well as they claim and generally just look patchy on me. Again, my mind changed when I tried this on. 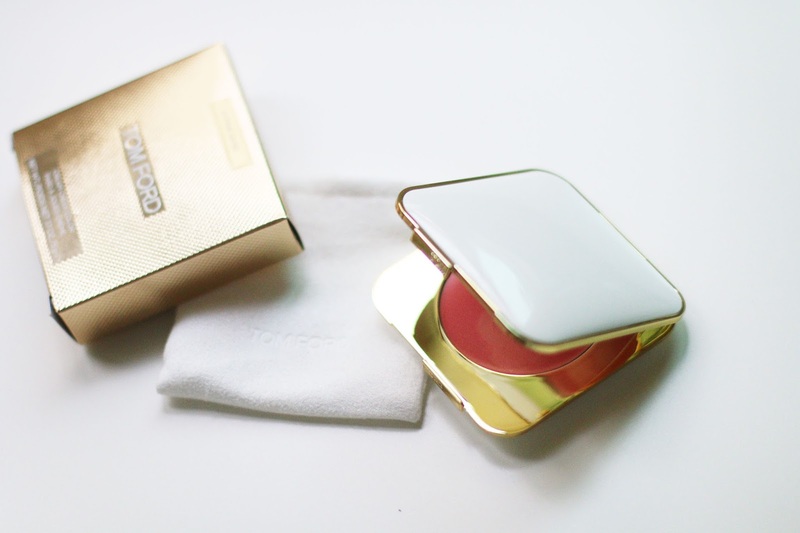 It has a 'melted-butter' consistency, which means it blends like a dream and creates a soft illuminating glow with very fine gold particles. 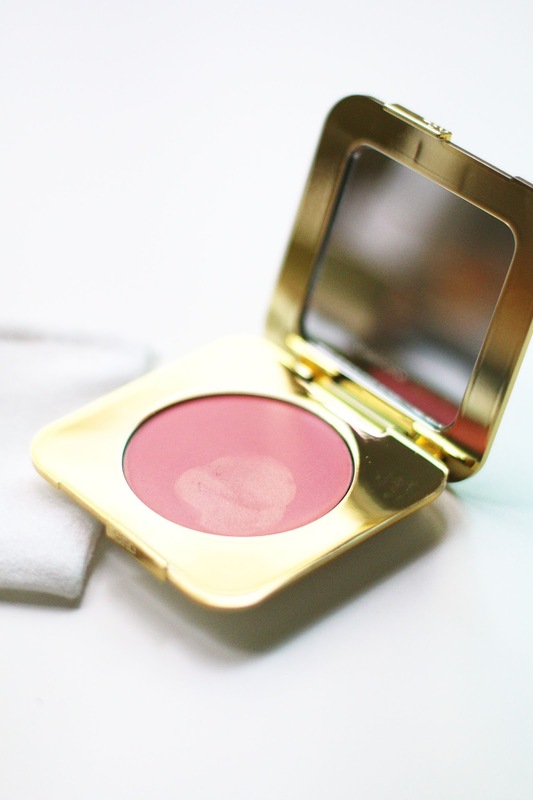 Another product that is not to be missed particularly if you want to try a real cream blush - this is it. 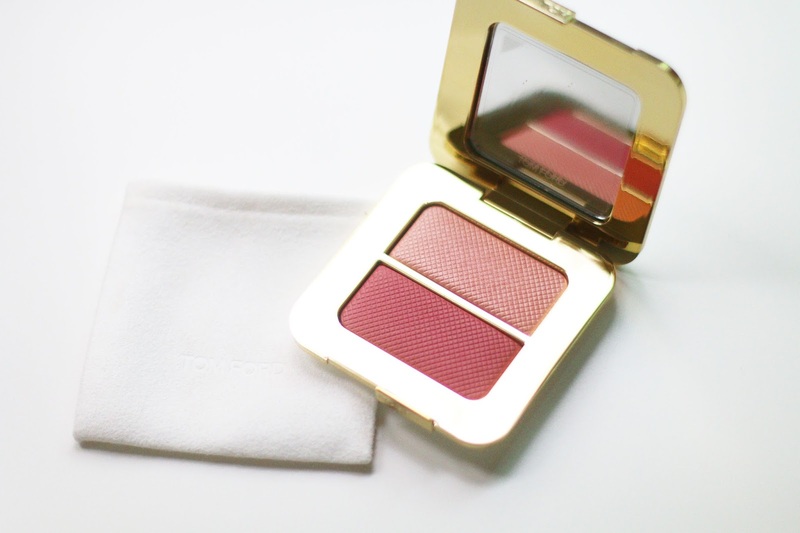 Last but not least is another favorite from the collection - the Sheer Cheek Duo. Another brilliantly designed palette with a rosy blush and iridescent champagne highlight (that could also be used as a light blush). 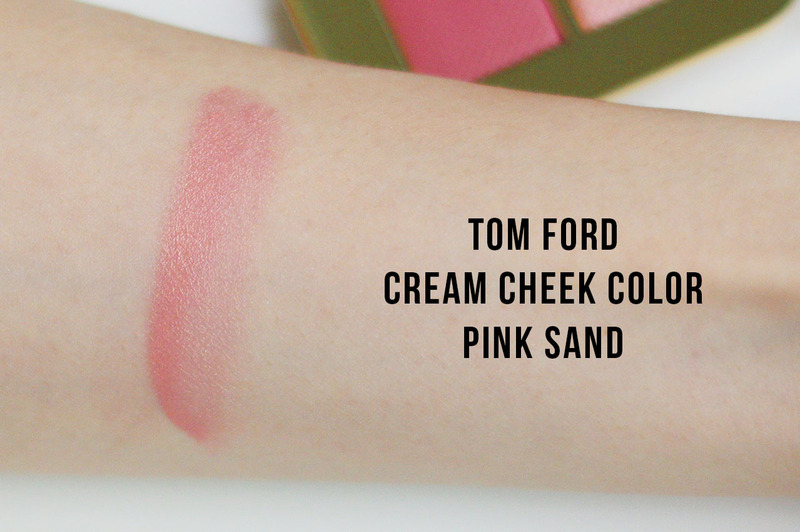 The powders are finely milled as well and as you can see from the swatches, it blends out really well as it feathers out without leaving any harshness. 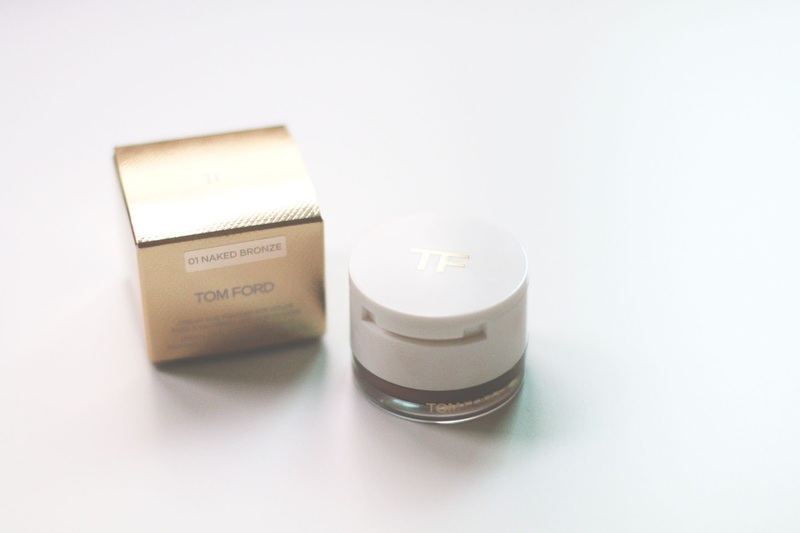 Where has Tom Ford been all my life and why am I only discovering his products now?! If you've picked up anything from this collection let me know your thoughts in the comments! *This post is not sponsored. 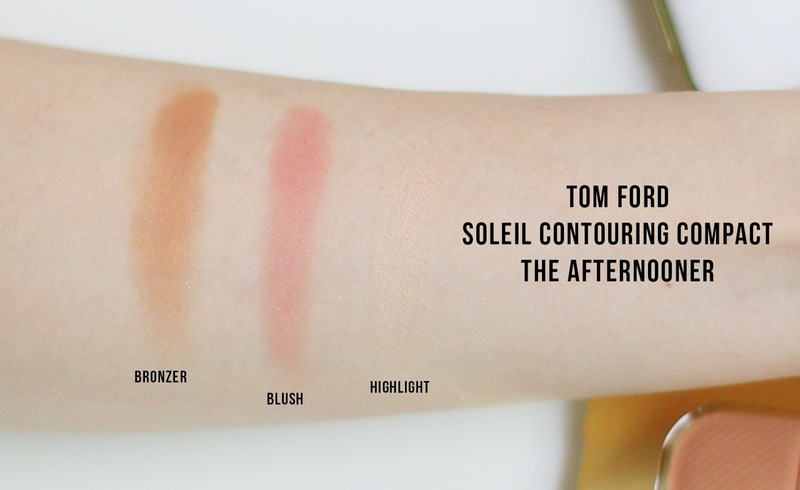 I purchased the Soleil Contouring Compact and Sheer Cheek Duo. The rest of the products were sent to me for consideration to review.